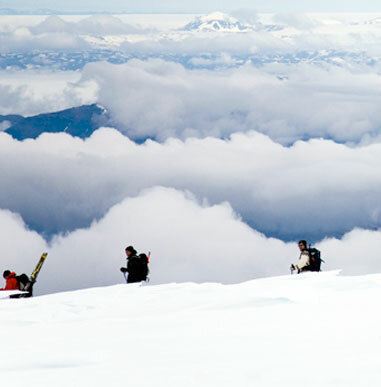 Why Climb the Volcanoes of Iceland with Alpine Ascents? Important to success and enjoyment for our climbers is the ability to adjust our climbing schedules as needed to account for ever-changing mountain conditions. Rather than throwing up our hands and ending an expedition when a route may become unclimbable, we treat these situations as challenges. Thanks to our experience and local expertise, we can change locations mid-expedition, if necessary, and offer alternate climbs and adventures. When such occasions arise, our climbers regularly praise these adjustments as highlights of their expeditions. We have been running successful expeditions around the world since 1986 and look forward to our 30th year of operation. Our familiarity with the region, and our expertise and knowledge of mountains around the world lend a depth and richness to every expedition that we feel is unrivaled in the guiding community. This expertise is based on years of accumulated experience — not just from individual mountain guides, but through experience on particular mountains where details are fine-tuned over time. We maintain our process of multi-leveled and critical evaluations for each expedition. 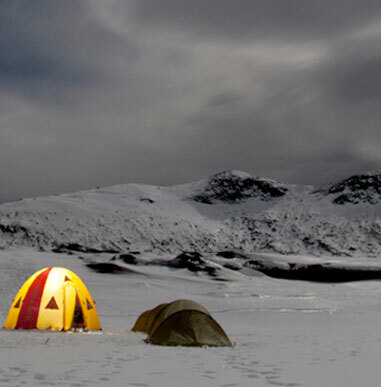 Innovations like daily weather reports, established, season-long Base Camps, environmental pioneering, and small climber-to-guide ratios with Alpine Ascents guides are just some of the factors that keep us in the forefront. Our 2016 trip saw tremendous summit success throughout the expedition. Leave No Trace principles are fundamental to our program and we encourage all who climb and trek with us to understand proper wilderness practices. We help facilitate this effort by passing on Leave No Trace training and literature to every Alpine Ascents climber. Alpine Ascents has a full Gear Department ready to assist with your climbing questions and preparations. We have a full-time gear staff and a retail store. All Alpine Ascents climbers receive a discount on each purchase in our Gear Shop. 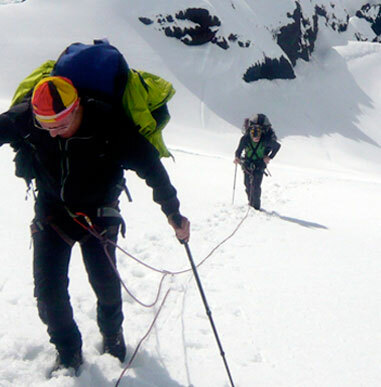 Our guiding team is composed of seasoned, professional mountaineers. These guides are a part of the Alpine Ascents family because they understand and share our climbing principles. These individuals are dedicated to sharing their excellence with others. The role of an Alpine Ascents guide is to impart knowledge, use calculated judgment, and assist each climber’s development. Our guides are experienced educators who measure their success by that of their clients. We stress our acute ability to provide personal, individual attention.